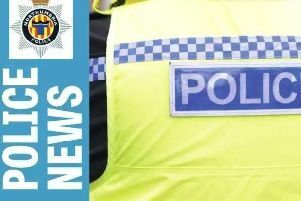 Police are appealing for witnesses after a number of incidents of racial abuse in North Tyneside. The first happened at 4pm on Thursday, February 18, when a man working in Discount Store on Howdon Road, North Shields, was racially abused by two men before one of the men spat at him. Two further incidents happened on Monday, March 21, and Tuesday, April 5, when one of the same offenders returned to the shop and shouted racial abuse at the same victim before making off. A 27-year-old man has been arrested in connection with the incidents and released on bail. Neighbourhood Inspector Neil Armsworth said: "All reports of racist behaviour are treated extremely seriously and enquiries into this incident are ongoing. A 27-year-old man has been arrested and we urge any witnesses or anyone with information to help inquiries to contact us straight away. This kind of activity is completely unacceptable and will not tolerate mindless individuals who commit racist behaviour of any kind." Anyone with information to help is asked to contact police on 101 quoting reference 0695 18/02/16.